Clove Dental has established a nation-wide network with over 40 of its most-equipped dental clinics in Bangalore so that more patients can gain access and choose nothing but the best for their oral care. 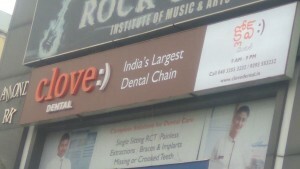 Clove Dental has established a nation-wide network with over 40 of its most-equipped dental clinics in Bangalore so that more patients can gain access and choose nothing but the best for their oral care. 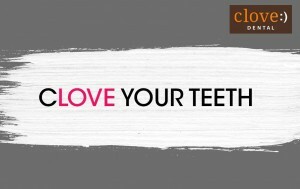 Clove Dental, the team consists of dynamic, well-skilled and experienced dentists who are consistently trained for accessing the technological advancements and the adhering to the best clinical practices so that the patients receive nothing but the best possible treatment without cutting corners. These are wounds on oral mucosa that do not heal after repeated treatments & they can be due to a number of underlying reasons. Thorough oral examination by an Oral medicine expert will give you the best solution. Have you ever noticed or experienced that whenever you open your mouth people walk away? Most probably it is because of your bad breath which can be due to many reasons. Why not start by visiting your dentist. Teeth staining can be due to various factors like cigarette smoking, tobacco chewing or even siping coffee. Stains can be removed profesionaly by dentists without causing any side effects. Bleeding and swollen gums are a result of poor oral hygiene. Due to improper brushing, a layer of plaque accumulates around the teeth thus causing bleeding & inflamation of gums, further resulting in gum disease. Swelling in face or jaw is a matter of serious concern and should not be ignored. It can happen due to many reasons like abscess, salivary gland swelling etc. 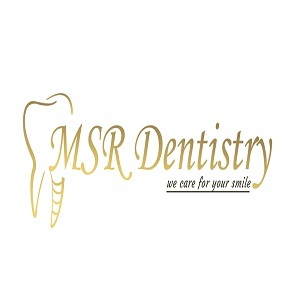 Detailed examination and precise treatment is required from experts in Oral Medicine & Radiology. Wisdom teeth are the last (third) molars on each side of the upper and lower jaws. When wisdom teeth don’t erupt properly or erupt in a crooked way they can lead to pain and inflammation in that area. Visit a dentist, for the right treatment plan. Bacteria and their toxins cause dental cavity or hole in the tooth which can result in tooth decay. In some cases tooth decay can be stopped or reversed by dental fillings & restorations . This can be caused when the tooth nerve gets infected.Some other causes for tooth pain are dental infection, gum disease, plaque, cracked tooth etc. Medications for pain and management of infection is required immediately. Loss of teeth can lead to speech problems, difficulty in chewing & even low self esteem. Implants, Dentures, Bridges are some of the advanced solutions that can be considered. Irregular teeth can make you suffer from serious health problems.It makes cleaning difficult thus increasing the risk of decay & gum disease. Timely intervention by an Orthodontist is required to avoid further complications. Dentures after some time usually become loose due to bone loss and thats how they become ill fitting.This causes discomfort and leaves sores and ulcers on the mucosa. These days, implant supported dentures are the ideal solution.